Faking it with Mary Tyler Moore! Building a new life can be serious business so I give myself little rewards along the way. Of course, the best rewards are reaching my goals but since they are on-going (mindfulness, authenticity, etc.) I never “graduate”. Shopping is a treat for me especially withmy penchant for hats. My love of hats started in Portland after I moved here alone and afraid. I would force myself to walk around neighborhoods even in the rain so that I did not become morose. In the residential blocks, I would see families gathering for dinner. I sometimes felt like the little match girl as I glimpsed normal family activities. I yearned for those days with my husband and sons. As I walked by restaurants, I would see couples enjoying each other’s company over food and wine. I was reminded of dining with my husband all over the world in those same scenarios. I had once had a life. With my husband’s death and my sons’ departures, life as I knew it was over. When I felt sad or lonesome, I would bolster myself with the opening scene from the Mary Tyler Moore show where she tosses her hat in the air while the music played “you’re going to make it after all!”. I have yet to toss my hat in the air but I have repeated the lyrics to myself often. In rainy Portland I am always on the watch for a new hat. Thanks to Bonnet in NW Portland, I love the experience of buying them! The staff is helpful, knowledgeable and accommodating. They advise me on colors and styles that suit my personality, face, and lifestyle. My recent visit was so fun! Here’s what I bought. I visited Bonnet to find something new for a New Year’s Eve party. As the party was in the afternoon, I wanted something simple and elegant. 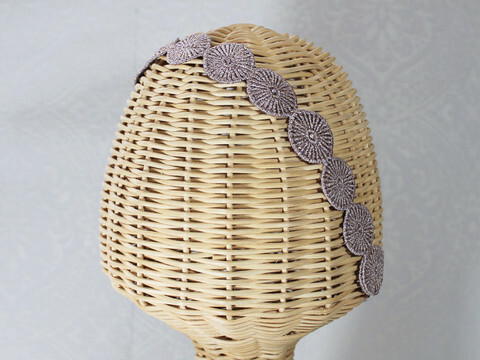 I envisioned a flapper-style headband or a fascinator. I spent part of an hour playing dress up with their glamorous headbands and cocktail hats before choosing the “Frida” headband. Although I bought it for a party, I would wear it for dinner with friends. I devoted the rest of my visit to choosing a stunning fedora. I settled upon the Bacall in chocolate. I loved the hat so much that I wore it out of the shop and the rest of the day. It kept me warm and kept the rain off. Wearing my new hat makes me happy. Yes, I am going to make it after all! I have a wish list for Bonnet and will return soon to choose one of the hats waiting for me. I never buy everything at once as I like the experience of finding the perfect hat, wearing and loving it before adding another to my collection. This is not a Costco experience where I am stocking up for the winter! The runners up are pictured below. I love the Ingrid in bordeaux and the Edith in navy but may find something else I love just as much. 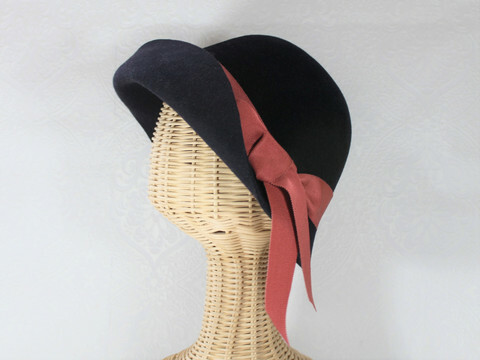 Thanks to Downton Abbey, hats are enjoying a resurgence. Plus, these hats keep me warm, repel the rain and turn a bad hair day into a chic one! Before you visit Bonnet in NW Portland, drop into St. Honore French Bakery just a few doors away for wonderful French pastries and coffee. It’s the best start to a fun shopping day. After choosing your new hat, take a short stroll to Le Vieux where you will enjoy a delightful meal in their lovely sun room. Le Vieux is the perfect ending to a morning of shopping in the Pearl. Life is good in Portland. Yes, I am going to make it after all! Posted on January 5, 2016 January 20, 2016 by lorigreerPosted in Living EverydayTagged Downton Abbey, headband, Lauren Bacall, Le Vieux Restaurant, St. Honore Bakery, The Pearl in Portland, women's hats. Oh, Lori, I love this post! And do you know that I also love hats? Although I only have one to my name presently….I’m a bit shy about wearing them. But not for long. I’ve yet to visit Bonnet, but I will:) Your shopping itinerary is perfect! Hi Susan, Glad you liked the post. I think hats can be so fun. Wearing a straw hat during my week in Mexico! 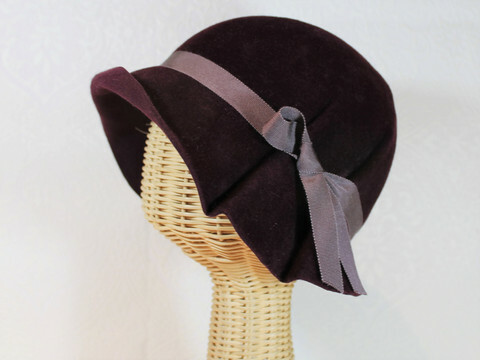 This post about hat shopping makes me so envious that I just want to jump on a plane and fly out and buy some of these beauties. This was really fun to read. I host a link that starts on Wednesdays called Senior Salon for people over the age of 55. I don’t know if you qualify but I would love to have you if you do. Hi, Portland is a wonderful place to visit. I hope you will make it out soon. I loved the Mary Tyler Moore show. I so remember that opening scene. If I ever feel down, I will try cheering myself up like you do with that memory. This is a cute post (with cute hats)! I can completely relate to this as I arrived in CA, by bus, for a job, not knowing anyone. It takes time to settle in. After making friends, esp. those who have gone to high school or college together, it makes one a bit homesick for someone who knows them like that too. One day I hope to visit OR. There’s a white wolf refuge there I want to see. Oregon is wonderful! Come in the summer for absolutely fantastic weather. Good to know. Yeah probably would have to be summer in order to tour the grounds without freezing or getting soaking wet. We have at least a couple of things in common. I live in Portland (Texas) and love hats. Oh, and Downton Abbey. A fun post! Thank you for stopping by my blog and taking time to comment. Hi, Another Portland! Nice to meet a kindred soul…hats and Downton Abbey. Hi Jeanne, I am glad that you liked this post. I try to write about my feelings so that others might benefit from my experience. Thank you for your kind response. You have a kind heart. I love hats and in this rainy weather, they have saved my day when my hair was a frizzy mess!